September 8th will make it four years. 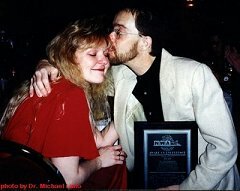 It was four years ago on September 8, 1999, when Brian Hildebrand died after fighting a two year battle against cancer. Even after his death, Brian kept inspiring people. 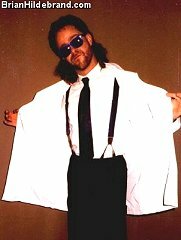 At the 2001 Brian Pillman Memorial Weekend, the "Mark Curtis" Memorial Pro Wrestling Fantasy Camp was held. Featured trainers were Ricky Steamboat, Terry Taylor, Bill Alfonzo, Bill "Hugh Morris" DeMott, Les Thatcher and the stars of the Heartland Wrestling Association; along with Les Thatcher. Rest in peace, dear friend. You are still, four years later, missed more than you can ever know.